Statement of Problem. When patients are being transferred by ferry from Rothesay Victoria Hospital to hospitals on the mainland or vice versa, two ambulances may be involved. One, the local ambulance takes the patient to Rothesay Pier. The other, mainland, ambulance, meets the local ambulance on the pier and the patient (usually on a trolley) is transferred to the other vehicle by being wheeled down the ramp of one vehicle and up the ramp of another. This takes place in full public gaze, and in any weather. This is distressing to the patients, and in the case of bad weather, may result in them being exposed to the elements. This situation pertains when there is insufficient time for the mainland ambulance to leave the ferry, travel to the hospital and return to the ferry in time for the next sailing. The sailings thus affected are the early and late ones, when the ferry turnaround time is short. This is at the beginning (0635- 1010) and end (1600-1900) of the day. 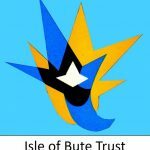 All hospital patients requiring an ambulance transfer to and from Bute. Passengers waiting to board vessels at the Waverley berth. Out of the way of the normal vehicular access – a location has been identified. Large enough to allow two ambulances to back in to it, with sufficient room for a trolley to be cross-loaded from one vehicle to another. A suitable type of structure has been identified. Discussions with Provost of A&B Council. Quotation obtained for prefabricated building. Initial planning application lodged with A&B council. On-site discussion with Harbour Master and A&B Planning officials. As at 12 Sep 16. Written confirmation for lease awaited. Financial Support obtained from A&B Council. As at 2 Nov 16. Contractor scheduled to start on 7 Nov 16. (Works expected to take 10 working days – weather dependent).